The easiest tried and tested way to get here is with a SatNav. The farm has a dedicated post code of ‘SA10 8HF’ and that will bring you to the top of the drive. To find us on an Ordnance Survey map, you need either Land Ranger Map No 170 for the Vale of Glamorgan, or Explorer Map No. 165 for Swansea. The farm entrance is at grid reference 170 SN 782 010. We are on an unclassified lane known as Cefn Yr Allt. This road is off of the A4109. It joins the A4109 at Aberdulais village and re-joins the A4109 2 miles further along the road just south of Crynant village. It can therefore be entered from either end. 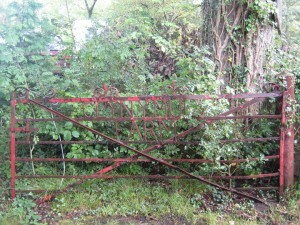 The farm entrance is half way along Cefn Yr Allt and is therefore the same distance from either end of the lane. People towing caravans should always enter from the north end of the lane at grid reference 170 SN 783 026 in order to avoid a steep hill at the south end, and having to drive through the village. This is also the route shown in the Big Sites Book. For SatNav users our post code is SA10 8HF. If the SatNav unit won’t accept a lone post code then enter ‘Cefn Yr Allt’ in the village of ‘Aberdulais’. Get to junction 43 of the M4 and take the A465 East which is signposted Merthyr Tydfil and Neath. Follow the A465 for about 3 ½ miles to it’s second main exit sign-posted Seven Sisters. Leave at this junction. At the end of the exit slip road is a roundabout. You take the third exit signed A4109. If you are towing a caravan or trailer or you have a particularly large or long vehicle then see below on this page. On entering the A4109 from the roundabout you will quickly pass a pub on the left named the Dulais Rock, and the entrance to the Aberdulais Falls, also on the left which has a set of pelican lights outside. (keep slow, many people go wrong here by over shooting the turning coming up on the left). After passing through the pelican lights, you will see a very long lay-by on the left of the road (in summer it will probably be filled with visitors to the falls). At the end of the lay-by is a turning on the left which goes up a hill. (There are speed ramps at the bottom of the hill and you should be able to see the advanced warning sign for the ramps as you approach the junction). You need to turn up that hill, called Forest Hill. Go slowly because the hill is steep and has both a left and right bend on it as you climb. At the top of the hill the road straightens out with houses on both sides. Follow the road through the houses for about 300 yards until the houses stop and the road narrows down to a single track country lane. The farm entrance is just less than 1 mile along the lane on the left hand side. It is clearly marked with the farm name and should be the only place you come to. Follow the A465 in the direction of Neath. You need to leave the A465 at the junction marked ‘A4109 Seven Sisters’ which is the last junction before Neath. When you come off the exit slip, you will arrive at a roundabout where you take the first exit left and you will then come immediately to a second roundabout. At that roundabout you need the 3rd available exit signed A4109. If you are towing a caravan or trailer or you have a particularly large or long vehicle then see below on this page. On entering the A4109 from the roundabout you will quickly pass a pub on the left named the Dulais Rock, and the entrance to the Aberdulais Falls, also on the left which has a set of pelican lights outside. After passing through the pelican lights, you will see a very long lay-by on the left of the road (in summer it will probably be filled with visitors to the falls). At the end of the lay-by is a turning on the left which goes up a hill. You need to turn up that hill, called Forest Hill. Go slowly because the hill is steep and has both a left and right bend on it as you climb. At the top of the hill the road straightens out with houses on both sides. Follow the road through the houses for about 300 yards until the houses stop and the road narrows down to a single track country lane. The farm entrance is just less than 1 mile along the lane on the left hand side. It is clearly marked with the farm name and should be the only place you come to. If you fall into the above category – or think you might – then you would be better to enter our lane from the north end at grid reference SN 783 026. This avoids the steep hill and tight bends. There are also slightly more options for passing places in the event of meeting another vehicle. Enter the A4109 from the roundabout on the A465 as per the above directions for all users. Then instead of turning up the hill after the long lay-by, simply stay on the A4109 for approximately a further 2 miles. You will pass a large sign on the left with the name of the village ‘Crynant’ and a speed camera sign beneath it. The entrance to our lane is 0.2 of a mile after that sign but the turning is too tight from that direction to turn in. So, overshoot the entrance to the lane, and swing round in the large lay-by that is 200 yards further onwards on the left. Then come back up to the lane and turn right into it. It’s a lot easier that it sounds. 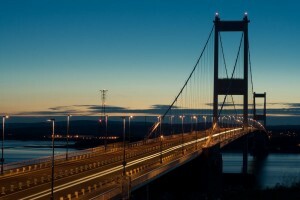 As of December 2018 the tolls for crossing the Severn bridges have been lifted. There is no charge for crossing in to or out of Wales, and as a general rule of thumb, our campsite is around 75 minutes drive from the Severn crossings. Please contact the farm to let us know if you are going to be significantly later arriving than arranged. Please note that arriving on the farm after dark is not ideal for you or other persons camping on the field. Please make sure you bring adequate torches etc as there is no lighting on the camping field and no light contamination nearby. It will be pitch black. Please try to avoid erecting tents under car headlight beams whilst simultaneously filling the fields with exhaust fumes! If you do arrive late please do so with the minimum of noise. We only accept ‘after dark’ arrivals by prior arrangement.